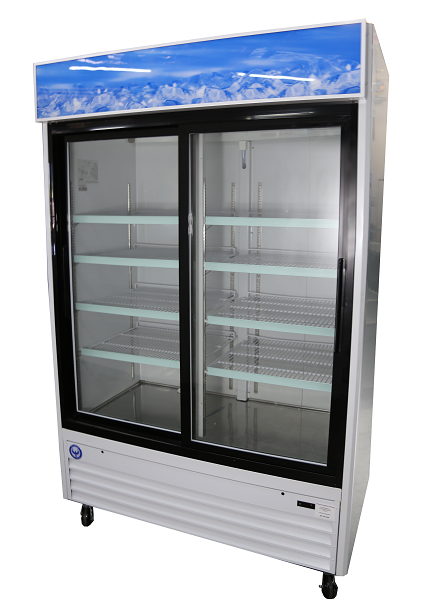 If your market or restaurant is looking to have carry out merchandise, our white 2 door merchandising refrigerator is ideal for your situation. 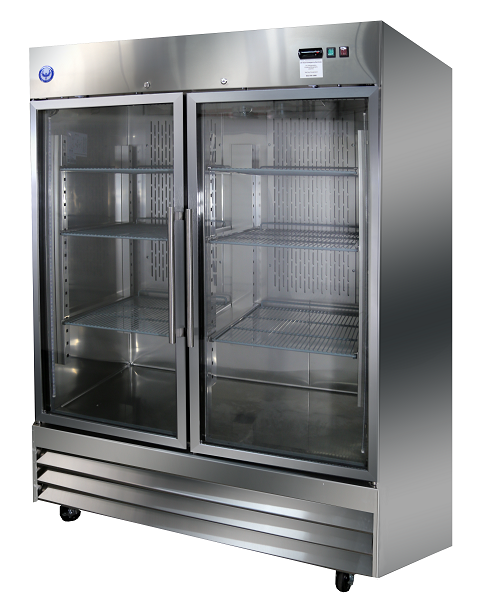 This unit features a modern white finish and and two anti-fogging glass doors for easy visibility, it also offers 45 cubic feet of cold storage. 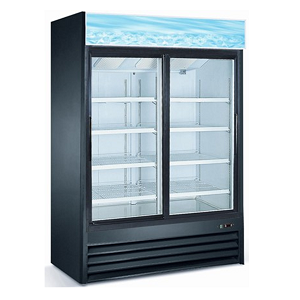 This unit features 8 shelves to allow product separation and interior LED lighting to make your products stand out. This unit also features a lighted top graphics display to draw customer traffic. 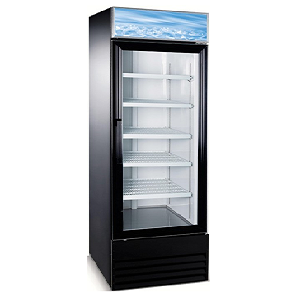 This 53″ white merchandiser is ideal for your high-volume establishment. 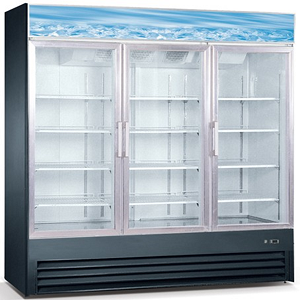 It has 8 durable steel shelves with plastic coatings for corrosion resistance. Each shelf can hold up to 90 lbs. 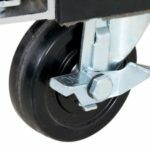 of product, giving the whole unit a 720 lb. capacity. 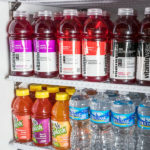 Additionally, each shelf has an upward lip that keeps products from sliding off. You’ll also appreciate that the shelves can be adjusted to accommodate products of different heights. 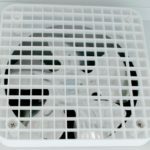 This unit features a top-mounted cooling fan that ensures proper air circulation. 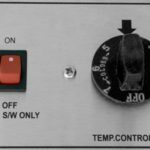 The merchandiser also has a refrigeration system that circulates R-290 refrigerant, which works in conjunction with the fan and foamed in placed polyurethane insulation to maintain cool internal temperatures. Double pane self-closing glass door. Positive seal, torsion type closure system. 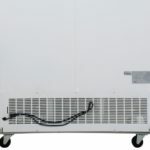 Be the first to review “PGDR45-W 45 Cu Ft White Sliding Glass Door Merchandiser Cooler” Click here to cancel reply.